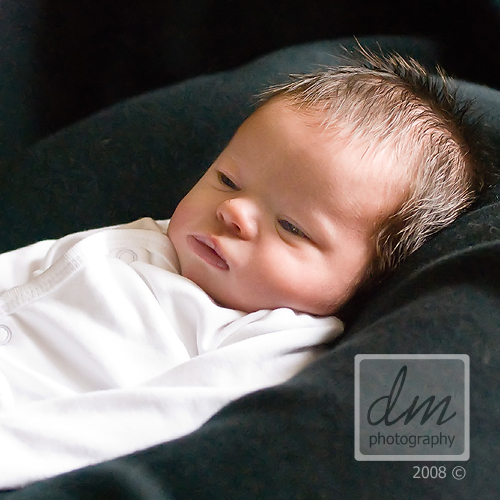 I had the pleasure of photographing "M", my friend's new baby girl. After an interesting entrance into the world (caught by dad outside of the hospital! ), she already has her mommy and daddy wrapped around her finger! She only slept for a few minutes after I first got there, but she was so sweet. Its so cute...she sleeps with her mouth open...awwww! Danielle, she looks so precious! I wish she could stay this cute and tiny forever. But oh how fast they grow. Being our first child, each day is a new and exciting adventure. 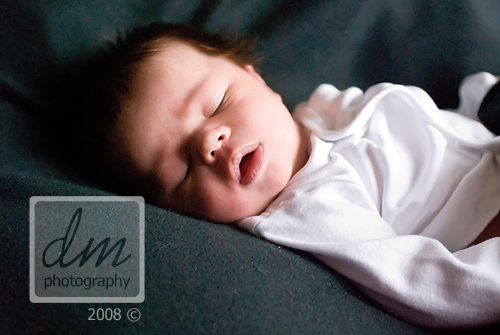 Thank you for helping us document her newborn phase!